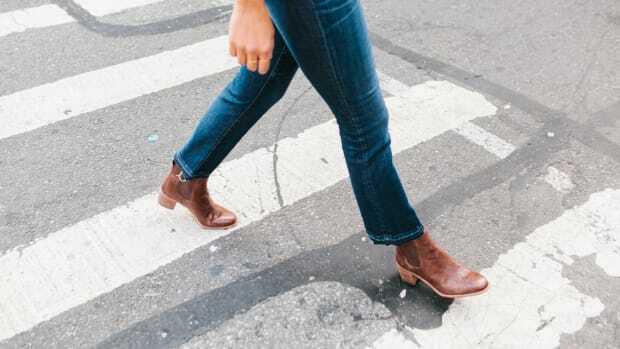 Who knew that curbing the impulse buying could help you fall back in love with your wardrobe? When I look back at the goals of my adolescence and compare them to my adult life, I realize that not much has changed: I still love to spend an inordinate amount of time around clothing. I will admit that a few things are slightly different these days. For starters, my relationship with clothes is no longer me living at the mall surviving on Orange Julius, and it’s been years since I sprayed myself into a migraine at Bath & Body Works. I still, however, have the same zeal for fashion that put my preteen heart in a flutter over the scrawled pink words “Limited Too,” only perhaps now for brands with a slightly older demographic. 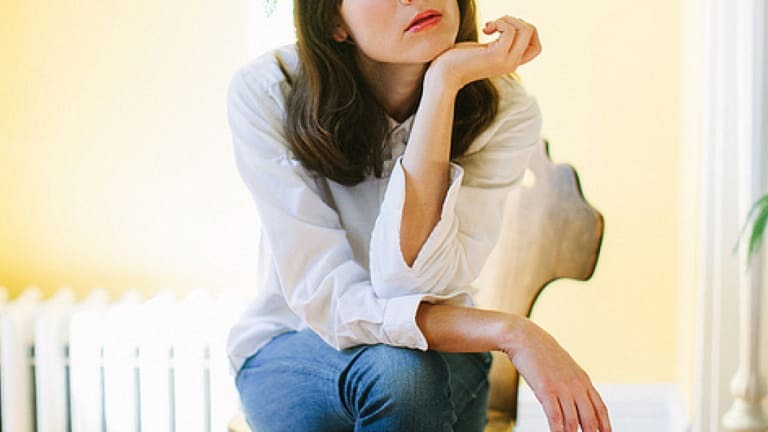 Even though I’m “all grown up” and somehow make a living by obsessing over pretty clothes all day as Verily’s style editor, I am still guilty of practicing the same bad shopping habits of my younger years. When I was 13, I saved up for months to go on a shopping spree. Once I entered the mall’s hallowed grounds, I blew all my cash on one T-shirt from American Eagle Outfitters that may or may not have had “99% Angel” printed across the chest. 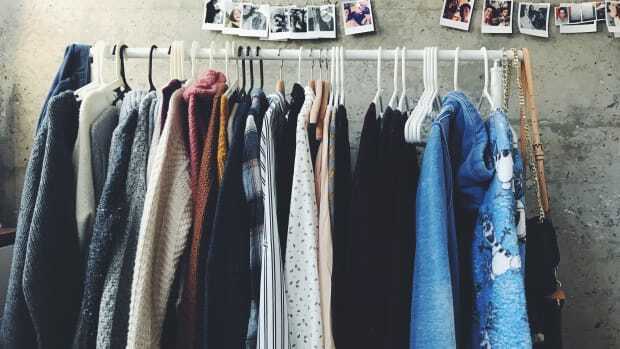 The problem is that I haven’t changed much since my teenage years, at least in my shopping habits—my closet is full of impulse buys and trendy one-season-only items. Back in January I finally came to terms with my disordered approach to shopping and how it was affecting my personal style overall. I felt like I was constantly filling my wardrobe with clothes, but I actually didn’t like the style I was cultivating. Over the years, I became so accustomed to waltzing in and out of fast-fashion stores, buying random things simply because they caught my eye and weren’t expensive. Sounds like a whole lot of “first-world problems,” I know. But it was a problem for me, one that I wanted—needed—to stop, so I did. What I discovered was that by shopping less, my entire wardrobe and overall style changed for the better. Here’s how. 01. I am more conscious of where my clothes are from. Impulse shopping is much easier when so many stores sell cheap and trendy clothes. 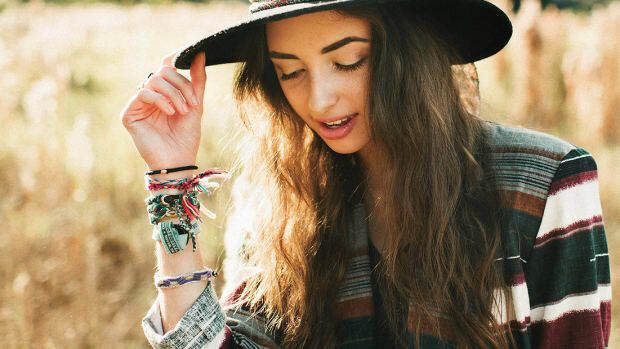 Let’s be real, $60 at Forever 21 goes much further than $60 at, say, one of these places. Unfortunately, it was only just in the past few months that I became more conscious of where my clothes were actually coming from. I began paying attention to people discussing the human rights abuses happening in the garment industry, and as I scrolled through the endless pages of merchandise marked at only twenty dollars, I couldn’t help but wonder who made that item and under what conditions. I made the decision to stop shopping at fast-fashion stores, and since then, I’ve noticed my style beginning to change. While I’m no longer buying items that support inhumane working conditions, I’m also not treating my closet like a revolving door of low-quality, trendy clothes that fall apart in a couple months. Rather than buying a bunch of cheap items often, I choose one or two high-quality items to buy over the course of a few months. These higher-quality items may have a higher price tag, but I end up saving money in the long run because I’m not thoughtlessly dropping $25 here, there, and everywhere. 02. I have developed a more classic style. As a result of no longer superfluously shopping to satisfy my desire for affordable runway trends, I have noticed that when I do shop at higher-quality stores, I buy more classic items. My stint with trendy minimalistic style had me purchasing more androgynous, edgy clothes that didn’t serve as any kind of a base to my wardrobe and, thus, didn’t go with any of my other clothes. Since avoiding the of-the-moment fashions, I’m shocked to see that I’m starting to adapt a more professional and feminine style. I used to be all about trends, but now all I can think about is buying quality items that are well-tailored to flatter my figure. 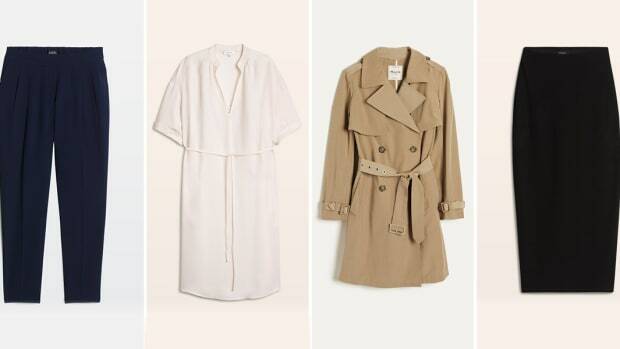 When I buy a pair of sleek loafers or a trench coat, I feel as though I’m developing a foundational wardrobe that I can experiment with by styling differently every day rather than being forced to wear a trendy item only one way every other week. These classic pieces are more versatile and help me look pulled-together, but they also force me to be more creative with unique styling, and I’m finally realizing that is what real style consists of. 03. I am buying what I need. Another great side effect of shopping less is that you rediscover items you already have. I have found that I have both too many clothes and not enough. This is the problem many women experience when flipping through countless hangers in their closet, only to find that they have nothing to wear. “How is this possible? !” we exclaim. I’ve realized that my impulsive shopping habits resulted in a closet full of nothing. By blowing all my money on random clothes, I never built up a basic wardrobe with staple items. 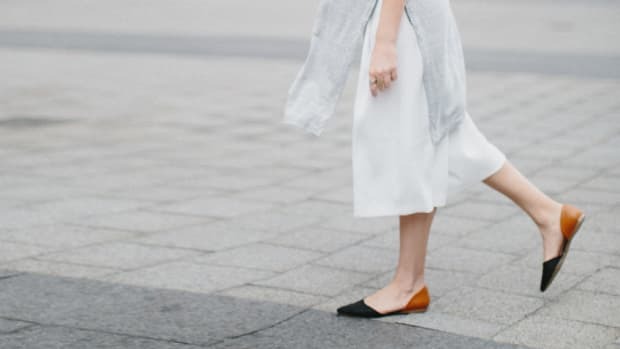 Imagine having a closet full of fun patterned midi skirts without any ballet flats or sandals that go with them. I realized that without these staple items, I wasn’t stretching any of the pieces in my wardrobe. They were all “wear once” items that couldn’t transition into other outfits. By cutting my careless spending, I was able to focus on a few timeless pieces that I could mix and match in countless ways. 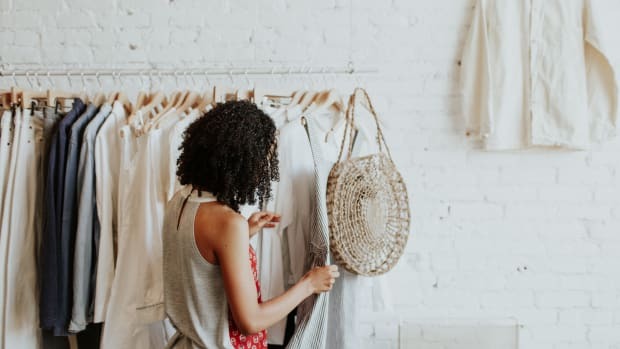 Shopping less has opened my eyes to understand that my wardrobe should be respected and not abused with the constant influx of trendy, low-quality items. My shopping habits used to be a more materialistic approach to my love of clothes, but now I shop with purpose, and my passion for style is ingrained in me more than ever. I’ve also realized that a quality wardrobe that actually reflects my taste and style will not happen overnight, and that’s OK. Style is a personal journey that should be more about contemplation than an impulsive purchase at the mall. So after years of unhealthy shopping habits that had me carelessly spending money and stunting my personal style, I’m finally starting at the bare bones of my wardrobe and developing a style that I truly love. Start here for a timeless, versatile closet. I’m buying clothes that I once thought were out of my price range, but I’m spending less than $400 a year on clothing.